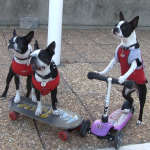 National Geographic Channel featuring two Amazing Boston Terrier Dogs! 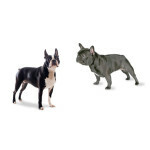 Dogs are intelligent and they can learn lots of things but with the help of their owner, two Boston Terriers in the South of France have pushed themselves forward! The National Geographic Channel featured two Amazing Boston Terrier Dogs named Tuxedo (6 years old) and Mia (1 year old). 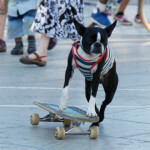 With their amazing sence of balance and intelligence, these dogs learned lots of complex tricks like riding on skateboards. Now they get invitations to perform in the streets of several european tourist destinations.